Where to begin? . . . There are many options available to newcomers to sailing depending on your preferences. In most destinations, in order to skipper a yacht either bareboat or flotilla you require an RYA Day Skipper Practical qualification or an International Certificate of Competence (ICC). These qualifications can be gained at RYA centres in the UK or at one of our partner RYA centres in Greece, Gibraltar or Turkey. If you are not looking to do a formal qualification but still want to take part in the sailing then why not try our 'Learn to Sail on Flotilla' options in the Ionian or Athens. On these flotillas you can add an instructor to your yacht for 3 or 6 days, depending on your level of experience, so you are learning whilst also being a part of the flotilla. Newly qualified but looking for your first charter? . . .
For those of you who have recently gained your RYA qualifications - the world is your oyster! There are some fabulous sailing areas which are suitable for more novice sailors such as the Ionian or Athens in Greece, Fethiye in Turkey, Split/Trogir in Croatia or the British Virgin Islands in the Caribbean. Speak to a member of our sales team about your preferences and they will be happy to make some recommendations for you. Excellent value, so convenient and gives you total freedom . . . Your yacht provides self-contained accommodation with plenty of cabins for everyone. Every night you'll enjoy being in the best harbourside location or in your own secluded anchorage - a different place to discover every day without any packing and unpacking! All the yachts have a fridge and cooker onboard and self-catering for breakfast, lunch and drinks helps keep the costs down. Being the skipper of your own yacht gives you total flexibility every day. Your enjoy a privacy and freedom that’s hard to find in a hotel. Set sail for a different destination every day- without the clouds and crowds of the Solent! There's always another bay, another harbour, another island to explore. And when you arrive, step ashore for dinner in a waterfront taverna. You'll be supporting the local community and you'll feel like a traveller, not a tourist. Dreaming of life on the water but without the skipper's responsibilities?. . .
A sailing holiday is a fabulous way to see beautiful parts of the world, sometimes areas which are unreachable by road, but not everyone can picture themselves skippering their own yacht. If you love the idea of a sailing holiday but want to relax and enjoy the sights rather than bring the skipper then you can add a professional skipper to any of our yachts. The professional skippers are expert sailors who know the areas inside and out, providing you with valuable insights into the best swim spots, restaurants, hidden bays and more. Couples, individuals or small groups may want a more sociable holiday and choose a gulet sailing holiday in Turkey. These big, traditional boats have between 6 and 8 double cabins, have a skipper and crew and include all meals. If total luxury is more your thing then choose from one of our fully crewed yachts in Greece or the Caribbean. 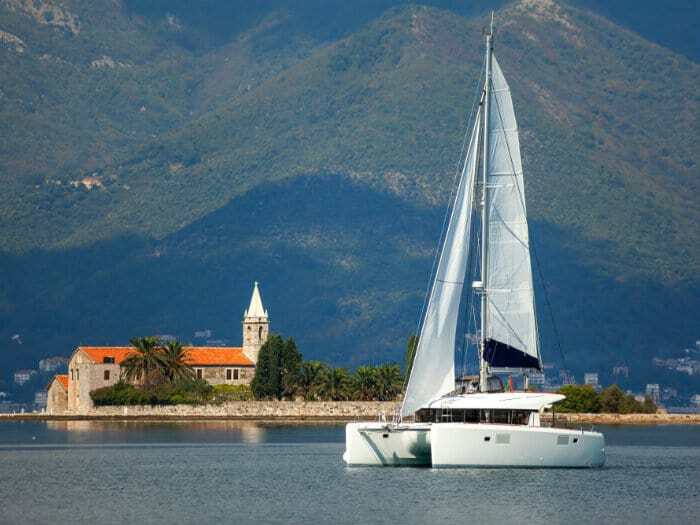 Ionian in Greece - Short distances, line of sight sailing and one of the most beautiful sailing areas in the Med. Fethiye, Turkey - Beautiful clear turquoise waters, secluded bays and wonderful traditional food. BVI, Caribbean - The perfect spot for newcomers to explore further afield. Gentle winds and friendly faces! Gain your RYA qualifications in one of our partner schools in Greece, Gibraltar or Turkey. With your practical qualifications under your belt, you can explore so many fantastic sailing areas worldwide. Alternatively, choose our 'Learn to Sail on Flotilla' option for informal guidance whilst on the Ionian or Athens flotilla. Enjoy ultimate freedom to plan your days as you wish. Spend lazy afternoons sunbathing and swimming in secluded bays or party into the small hours in lively harbour towns - the choice is yours! 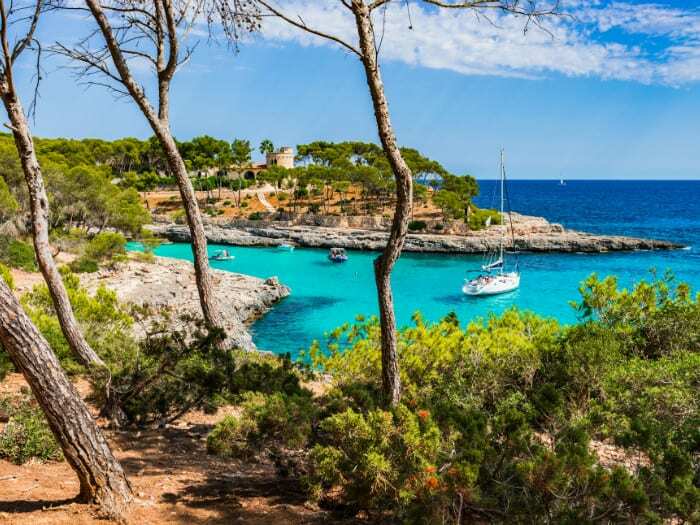 Here are some of our top choices for novice bareboat sailing areas. Sit back and relax whilst professionals do the hard work for you! Add a skipper to any bareboat holiday or chose a fully crewed sailing holiday for the ultimate memorable experience. Everyone enjoys the friendliness of a flotilla and the back up provided by the lead crew means that there is always someone on hand to help out should you need it. Below are some of our flotillas which are more suited to novice sailors. We have an excellent selection of quality sailing yachts for bareboat yacht charter ranging from 30' to 52' including all the well-known names, Jeanneau, Beneteau, Dufour and Bavaria. Most are less than 4 years old and many are brand new models. In some cruising areas we can offer spacious owner's layouts with master cabin. 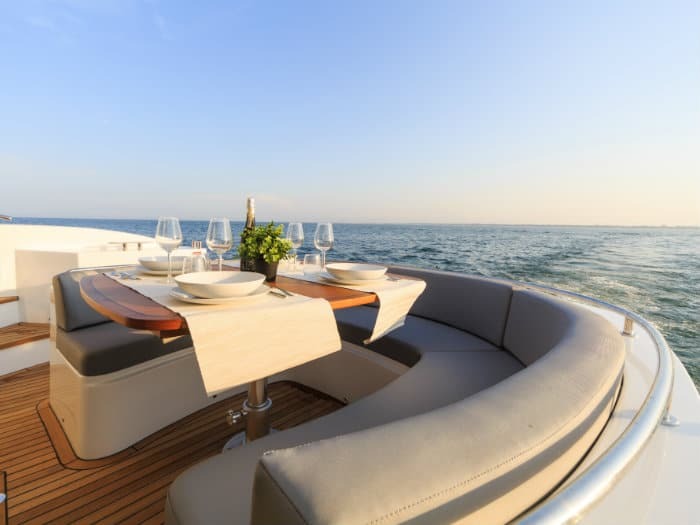 Catamarans offer plenty of deck space and a large cockpit, ideal for relaxed sailing holidays. The saloon, with its panoramic windows, is spacious and airy. Even if you haven’t sailed cats before, you’ll be impressed by their easy handling. Cats are very popular in Turkey and the Caribbean where you spend most nights on anchor rather than on a crowded town quay or marina. What experience & qualifications do I need? To charter a yacht bareboat or on flotilla, you should have an RYA Day Skipper qualification or RYA International Certificate of Competence (ICC) and be assisted by at least one competent crew. For charters in Croatia, one member of the crew will also need a VHF licence. RYA qualifications can be obtained by RYA sailing schools in the UK such as Hamilton Sailing or Torbay Sea School or alternatively choose from one of our overseas centres in Gibraltar, Greece or Turkey. 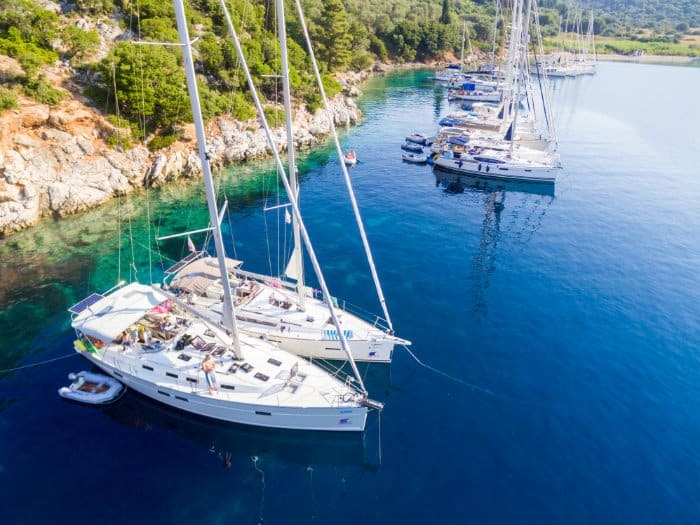 In Greece, Turkey and Croatia you have a choice of bareboat yacht charter or flotilla sailing holidays, providing maximum choice at all experience levels. Add a skipper to any of our bareboat yachts if you don’t have the experience to charter bareboat or if you would like a helping hand with a larger yacht or a guide to a new cruising area. The skipper will be a competent local sailor and perfectly capable of sailing the yacht. He will encourage you to get involved as crew, although he is not an instructor. You will have to allocate a cabin for the skipper's use and provide him with food and drink. All our charter yachts are fully equipped for cruising in comfort and have full safety, navigational and domestic equipment. On arrival at your charter yacht you will be given a technical briefing on your yacht and cruising area. We do recommend that you check your yacht carefully before you leave the marina as things can so easily be put right at the base. Once you have set sail you are given contact numbers for the base, including emergency out-of-hours telephone numbers, so help is just a phone call away at any time. Should any repairs be necessary during your charter, the base manager will usually arrange for these to be done in your nearest harbour. Looking for somewhere new in the Mediterranean? Try the Italian islands of Sicily, Sardinia or Elba and enjoy interesting sailing, great food, and fabulous scenery. Outside the confines of the Med, Brittany and Tenerife are popular with more experienced skippers looking for some great sailing. If you've done the usual islands in the Caribbean, take a look at St Martin, maybe on a one-way cruise to Antigua or BVI. Or explore the reef in Belize off the coast of Central America. Further afield, make dreams come true with a sailing holiday in Seychelles. "Your organisation on the booking side was first class and everything went without a hitch. On the sailing side everybody at Odysseus was great and the boat was in good order too. Our flotilla leaders were really super, first rate, nothing was to much trouble and they had everything at all ports of call sorted out. So all in all a great holiday and yes we would do it all again." Ionian Flotilla in Greece 2014 - C.W.